WHY USE AN AMPI MEMBER? Below are the "Top 10" reasons to use a REALTOR, at the bottom we will cover how NAR and AMPI work together to protect you in making a real estate purchase in Mexico. A. M. P. I. is the Mexican Association of real estate professionals formed in 1956 with 20 members. It now has thousands of members in more than 22 cities, plus an International Section. Locally, over 250 agents are qualified enough to wear the AMPI logo. These AMPI members represent over 70 Real Estate sales companies in Puerto Vallartaand Riviera Nayarit. AMPI is a private organization of professional Real Estate Practitioners that are subject to AMPI's bylaws and have adopted AMPI's code of ethics, dignifying the Real Estate practice and protecting always theprivate property rights. AMPI is affiliated with the National Association of Realtors (U.S.A.), the Canadian Real Estate Association, FIABCI, the International Real Estate Federation, and with the newly formed International Consortium of Real Estate Associations, ICREA. AMPI works together with Federal, State and Municipal authorities, proposing new laws and amendments to existing laws and regulations, directly related to Mexico Real Estate activity. AMPI represents its associates in diverse private and public entities. WHY USE AN AMPI MEMBER FOR YOUR MEXICO REAL ESTATE TRANSACTION? Contracting the services of a Real Estate professional who belongs to AMPI, is a reliable determination that will help you make the best decision in the moment when you sell, rent or buy a property. 1. When doing this, you are secure with an expert in the matter. 2. The Real Estate Professional is qualified to define the optimal price and conditions to place in the market your property for selling or renting . 3. An AMPI Professional will put your property in the sale or renting market in the best of the conditions and shortest possible time. He or she has the skills and capacity to choose the channels and suitable methods of promotion. 4. The commission that AMPI Professionals earn are collected only after the transaction has been closed. 5. The Real Estate Professional will verify that any kind of business you put in their hands, is totally protected. You will be assured by their experience in Real Estate transactions. 6. AMPI professionals count with the legal and taxation experience and knowledge that will allow them to advise any buyer or seller to obtain the proper documentation and procedures in order to conduct the most efficient and advisable way in closing of the deals. 7. AMPI members have access to Data banks of the Association which allow them to keep up with the market conditions and movements in order to be aware of the present conditions of prices and time frame in which properties are sold or rented. 8. When a property is listed with any of the AMPI members, it is placed immediately in the Multiple Listing system, AMPI MLS, in which all companies and members place their listings in order to get the most exposure of their properties, thus allowing all the companies incorporated to the Association to get access to the information of your property. This of course, will be a vehicle to promote and to create a faster time frame for its sale or rent due to our system of shared information. This same system allows to offer information that is complete and updated of the existing demand and supply in the local market. 9. The incorporated Real Estate companies in AMPI, are subject to strict regulations defined by the same Association. It can at any moment, review the procedures and operations, making sure that the service granted to the client meets the professional and ethical standards of the Association. 10. Real Estate Professionals of AMPI receive continuous programs of qualification, guaranteeing a deep and updated knowledge of all aspects related to the Real Estate transactions, with the purpose of managing the offering of services of the highest level. If you’ve ever purchased residential or commercial real estate in the United States, you are probably familiar with the NAR ~ the National Association of Realtors. This organization links realtors all over the USA together through a set of common industry held expectations about the buying and selling of property, and binds its members with a strict code of professional ethics to protect the legal and property rights of their clients. Buying property with the help of a REALTOR gives you a reason to feel confident in your real estate transaction and allows you to rest assured that all necessary paperwork has been completed and filed according to a specific timeline so that your purchase is 100% legal. Thanks to its mild tropical climate, stunning beaches, immense stretches of undeveloped land and hospitable people, Puerto Vallarta Mexico has become a major retirement destination for US and other foreign investors who wish to live in Puerto Vallarta. However, the laws governing property ownership by foreigners are quite different in Mexico than they are in the United States. If you’re interested in finding that perfect little parcel of land by the sea, it is a good idea for you to work with a real estate broker who is also a member of La Asociación Mexicana de Profesionales Inmobiliarios, A.C. (AMPI) the Mexican counterpart to the U.S.'s NAR. As long as they remain in good standing, Mexican real estate brokers, agents, developers, financial consultants, property managers, appraisers and consultants are all invited to become members of AMPI. 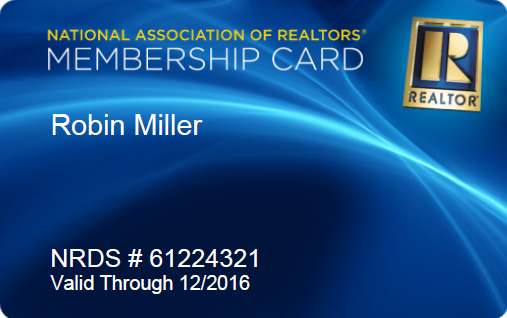 It is worth noting that according to AMPI National, most AMPI members hold some form of certification in real estate. AMPI members participate in exclusive, up-to-date training through a variety of courses, meetings, seminars and a major annual international convention. They are also able to join foreign real estate associations such as our NAR, the Canadian Real Estate Association (CREA) and FIABCI (International Real Estate Federation) at an international level. Thanks to their excellent network of international contacts, International AMPI members may assist you with property transactions both within and outside of Mexico. AMPI has over 50 chapters located throughout Mexico and a sixty year history of excellence. Each chapter is independent, with its own board of directors. The group as a whole has over 4000 affiliates and associates throughout Puerto Vallarta and mainland Mexico. Together they work to create and uphold laws governing the Mexican real estate industry and work under their code of ethicsdesigned to protect the property rights of investors. Their organizational goal is to make sure that all real estate transactions throughout the Republic of Mexico are "reliable, trustworthy and efficient". Most AMPI member firms are also members of the MLS for their particular city and may show you any property you are interested in viewing at a given time. So what does this mean for you, the investor? If you want to find the perfect property in Mexico and receive intelligent and accurate guidance about how to purchase it correctly (and legally!) make sure the team of professionals you hire to assist you in all aspects of your transaction belong to AMPI. A "REALTOR" is a member of the United States National Association of Realtors and adheres to higher ethical standards, and agrees to work within NAR's code of ethics. 1.- A Realtor can help you with the market. Whether you´re a buyer or a seller, a Realtor is the one you can turn to for information for home values neighborhood, taxes, zoning, schools and more. 2.- A Realtor can help you set the price. A Realtor knows the current real estate market and can help you set a realistic selling price. 3.- A Realtor can help you advertise efficiently. When you´re a seller, a Realtor handles and pays for all marketing efforts for your home, from advertising and arranging open houses, to placing a sign in front of your home. 4.- A Realtor can help you with financing. When you´re a buyer, a Realtor will help pre-qualify you, help you find financing, arrange for home inspections and so on. A Realtor can also assist the seller on financing the buyer. 5.- A Realtor can help you add sales appeal. A Realtor knows how to add the extra appeal to your home at little cost that can generate interest. If you´re the buyer, a Realtor often can suggest imaginative changes for making your prospective new home more suitable for you and more valuable. 6.- A Realtor can help you with details. A Realtor handles many time-consuming time tasks that are a part of the real estate transaction process. Both buyers and sellers are kept informed while free from stress. 7.- A Realtor can help you at your closing. A Realtor will accompany you to the closing or even attend in your place, and help you with all the paperwork beforehand. 8.- A Realtor can help you find your best deal. Whether you´re a buyer or a seller, a Realtor is bound and obligated by the Code of Ethics to give fair treatment to all parties in the transaction. 9.- A Realtor brings buyers and sellers together. A Realtor ultimately helps both parties finding the best homes in an affordable price range for qualified, serious buyers. 10.- A Realtor lets you live your life. A Realtor is a professional who has the expertise and time to get the job done right. That makes it easier for you to relax and let the process work.